Diwali, the festival of lights is the most celebrated festival and is the ideal time to meet and greet people whilst exchange greetings and sweets and spread happiness across. As many of us prepare to celebrate Lord Rama’s victory over Ravana and his return from exile, this year we can mark new beginnings and strengthen our relationships with n-gage. n-gage, the most Playful and Private messenger has created specially designed greeting cards and stickers for its users to wish their family and friends. Traditional methods of sending greeting cards may have vanished, but in today’s tech savvy generation we have apps that enable us to send electronic greetings cards and stickers. n-gage takes this concept a step further by giving its users the ability to customize their greeting cards and stickers by adding an audio clip, image or hand writing their messages. The greeting cards and stickers can be personalized by adding an audio clip to reflect yourmood on these auspicious occasions. So, this festive season why not wish your loved ones using different ways to communicate on n-gage in over 45 different languages. 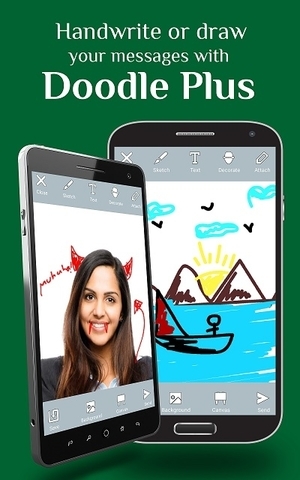 What’s more, when you are lost for words, try Doodle Plus on n-gage. With an extensive color palette, you can draw, sketch and add festive accessories to your chats. n-gage enriches user experience by providing features that help youstay connected with loved ones regardless of whether they have a smartphone or not. The app is available for use on Android, iOS, PC and tablet. Go on; bring out your playful side this festive period with n-gage, the playful messenger. n-gage, the Playful, Private and Transforming Lives messenger recently launched in India by Mr. Ajit Patel, CEO & Founder of n-gage. India is the first market for n-gage, a single app with features and functions that aim to change the way people communicate. It is the world’s first app to present users with a host of features to encourage users to say what they mean, whilst choose from an array of unique privacy features to safeguard their messages. Unlike other apps, as soon as the user joins, they can start sending messages and have video calls with family and friends who do not have n-gage. Through features like stickers, greeting cards, Chat makeovers, users will be able to enhance their messages and express what they really mean. n-gage doesn’t stop here; it enables chats to stay private, with the app offering an expansive range of privacy features to suit individual’s needs. With features like ‘Extract’, users will be able to take back messages they have accidentally sent from the receiver’s end, or send self-destructing messages with “Blink”. n-gage enables its users to connect with family and friends from around the world in over 45 languages. 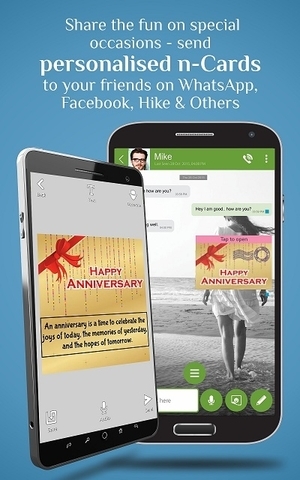 Users can share messages, doodles and attachments on various other social platforms such as WhatsApp, Facebook, Emails and SMS, without requiring the other person to download the app. Also unlike other group chats, with n-gage users can create groups with up to 300 participants from their contact lists to enjoy multiple conversations under one group. With this, n-gage users can share multimedia files and even exit several group conversations without leaving the group. *For cross platform messaging, n-gage users must have WhatsApp, Hike, or other social apps installed to message their friends and family from n-gage to other aps.